This April, witness the legendary rivalry. Sverrir Gudnason and Shia LaBeouf star in Mongrel Media's Borg vs. McEnroe, and you could win an iTunes digital copy! Borg vs. McEnroe is in theatres and on iTunes and VOD April 13th, 2018. Via Facebook: LIKE & FOLLOW our Facebook page and leave a COMMENT on the Facebook contest post to tell us how many times Björn Borg and John McEnroe faced each other competitively. Click here to enter. 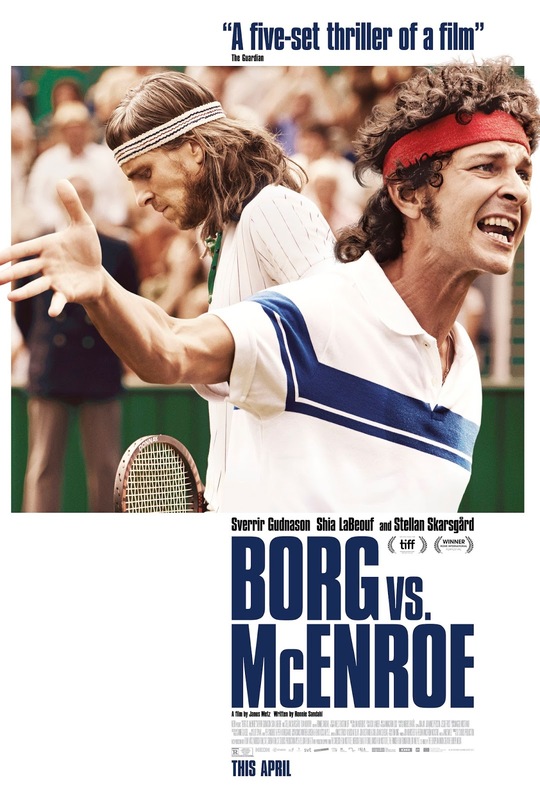 Via Email: EMAIL thereelroundup@gmail.com using the subject line 'Enter Me to Win a Digital Copy of Borg vs. McEnroe', and provide your full name and email address in the body of the email.